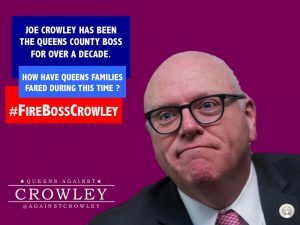 Joseph Crowley wanted to get rid of the Latino section of the Bronx from his Congressional district. 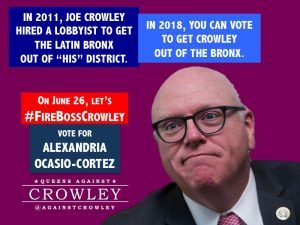 A recent tweet by journalist Ryan Grim revealed to many for the first time that, back in 2011, Joseph Crowley (Establishment-NY) hired a lobbyist to remove the Bronx from his Congressional district. 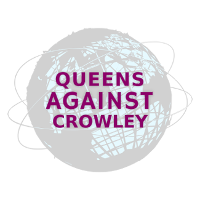 The article Grim linked to explained that Crowley had concerns about that section of Bronx’s demographic makeup, which is mainly Latino. 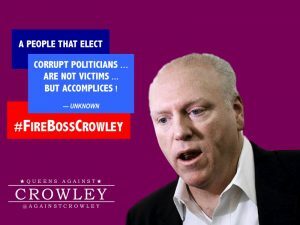 Apparently, Crowley thought that such a dense concentration of People of Color would have made him vulnerable if he would ever have to face-off against a Latino challenger in the “democratic” primaries. 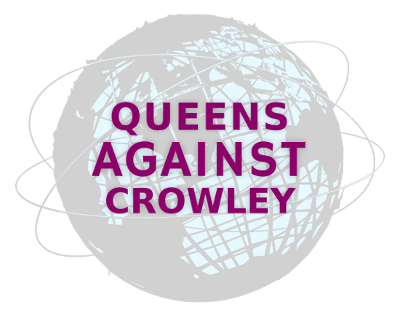 Unfortunately for Crowley, that part of the Bronx remained within the 14th Congressional district, alongside large portions of Queens, some similarly with large minority populations, and while the two boroughs might be divided by the East River, this year, they are uniting against Crowley. 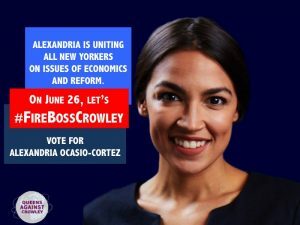 The attempt to disenfranchise Bronx voters by literally kicking them out of the district — because of their race — is something one might typically expect from a Republican, but, sadly enough, there are many Democrats, who also work to uphold systems of racial inequality when it benefits them politically, Crowley being one of them. For decades corrupt politicians have completely ignored the needs of NYCHA. Everyone – from Rudolph Giuliani to Michael Bloomberg to Andrew Cuomo to Bill de Blasio to Joseph Crowley – has taken NYCHA residents for granted. Periodically, politicians have given a few crumbs to public housing residents, by fixing up a playground or putting in security cameras, and then counted on the votes of public housing residents come election time. Politicians show up to public events for photo-ops with after school programs, pretend to be on the side of working class and low-income families, and then they go and meet with lobbyists to pass legislation for Big Real Estate and Wall Street to exploit public assets for private profit. Despite what the Democrats in power say, NYCHA is in a complete crisis. Just yesterday, a settlement was reached demanding that the city pay $2.2 billion dollars after a federal probe into lead paint issues, repairs backlogs, negligence, and more. You can read about it in the recent NY Post article here. This comes after former head of NYCHA, Shola Olatoye, stepped down for lying about her knowledge of false inspection certificates – where the agency knowingly and deliberately sat on information for months while thousands of families were exposed to lead paint. A crime for which probably no one will be held responsible. Many of those following national politics might be be unaware of a devastating development that occurred in Queens County back in the fall of 2017, and which foreshadows a potential upset in the upcoming contest for New York’s 14th congressional district. Congressman Joseph Crowley‘s cousin, Elizabeth Crowley, was running as an incumbent in a City Council election against the relatively unknown centrist Robert Holden, who she defeated in the Democratic Party primary — only to eventually lose to him in the General Election by 137 votes. Elizabeth Crowley, who raised 10 times the amount of Holden, and who had the backing of Gov. Andrew Cuomo (Establishment-NY) and the Queens Machine, should have crushed Holden in the General. When the votes were totaled and recounted, however, Holden squeaked by — pulling off an upset that many had thought was impossible. Elizabeth Crowley is not the only neoliberal Democrat the People have grown tired of. One might recall Christine Quinn‘s epic loss to Bill de Blasio in the 2013 mayoral race. Quinn’s loss showed that the political left in America’s biggest city was ready to challenge the corporatist, big money Democrats. Several years later, Democrats ignored that lesson when Hillary Clinton noteworthy downfall demonstrated that the Democratic base was no longer inspired by big money politics.